Dementia is a terrible disease that many people suffer from later in life. If you have ever had a loved one who suffered from dementia you know how difficult it can be for them and for their loved ones. Many studies have been performed in the past several decades directed at discovering the cause of dementia. One recent study that surveyed over 5,500 elderly individuals over an 18 year period has tied dementia to poor oral health. The study concluded that those individuals who brushed their teeth less than once per day were 65 percent more likely to get dementia later in life. While this does not mean that poor oral health is a direct cause of dementia, it certainly seems to show that it is a contributing factor. It is never too late to start practicing better oral health. Besides brushing twice daily and flossing once a day, it is also extremely beneficial, and recommended by the American Dental Association, that everyone should schedule biannual dental exams. Regular dental evaluations are designed to do several things. First, it allows the dentist to examine the patient’s teeth for on-setting issues that must be addressed. Secondly, it provides the dentist a chance to perform a professional cleaning that can remove plaque and tartar that normal brushing cannot. Finally, a regular oral evaluation gives the patient the chance to discuss with the dentist any other concerns they may have and get their questions answered. If you do not brush and floss at least once a day you may be at an increased risk of developing dementia. 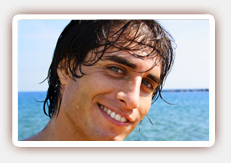 Talk with our West Hollywood dentist to learn more.